On 20th April 2013, a group of 5 disabled riders will attempt to scale Cadair Idris, one of the tallest mountains in Snowdonia, using specially designed mountain bikes. The bikes, which are pedalled by hand rather than by foot, have especially low gears which will be essential on the steep and rocky upper slopes of the mountain. As part of the event, the organisers, ‘Challenge your Boundaries,’ offered the use of a hand powered mountain bike and coaching to enable a novice off-roader to take part in the event. 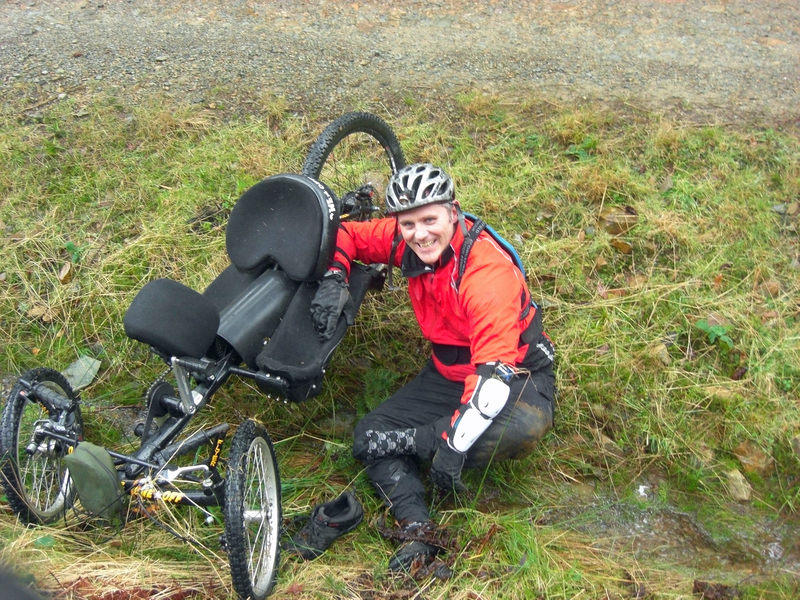 “Luke, who was paralysed from the chest down following a traffic accident whilst serving with the RAF, now works as a Patient Education Coordinator at the National Spinal Injuries Centre, Stoke Mandeville Hospital, and has a great opportunity to help us spread the word about adaptive mountain biking”. This ambitious event has been made possible by the efforts of a large team of skilled volunteers. Any money donated will be split between Mawddach Rotary Club (10%), Challenge your Boundaries adaptive MTB project (30%), Aberdyfi Search and Rescue Team (30%), and ‘Walking with the Wounded’; a project assisting injured service personnel (30%).